This nearly 10-mile loop trail circles the Argonne National Laboratory and features rolling hills with ecologically diverse terrain. 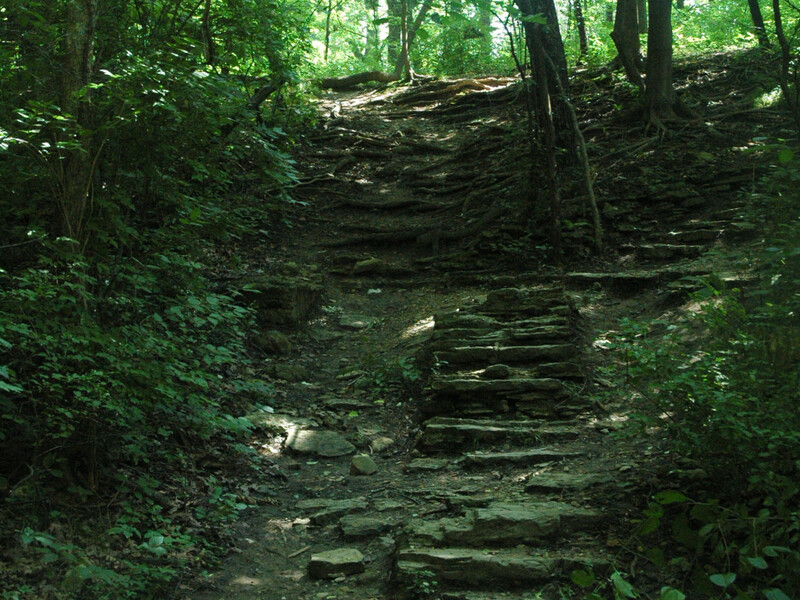 Waterfall Glen Forest Preserve in west suburban Darien has a lot of things going for it—which is why it has become one of the most popular off-road destination trails in the Chicago area. But let’s start with some of the peculiarities: The 2,492-acre doughnut-shaped preserve completely surrounds Argonne National Laboratory—the federal research facility that got its start working on nuclear reactors as part of the Manhattan project in 1946. The lab now performs scientific research primarily in clean energy, environmental studies, technology and national security. Sounds great, but you’re not allowed to see what they’re doing. The lab is surrounded by a security fence, which you’d be well advised to heed. Conservation projects have helped to make Waterfall Glen one of the more ecologically diverse forest preserves in the area. Completing the full circle trail, mountain bikers will find prairies, savannas, thick tree-covered woodlands, swamps, marshes and bluffs overlooking the Des Plaines River and Lemont, Ill. 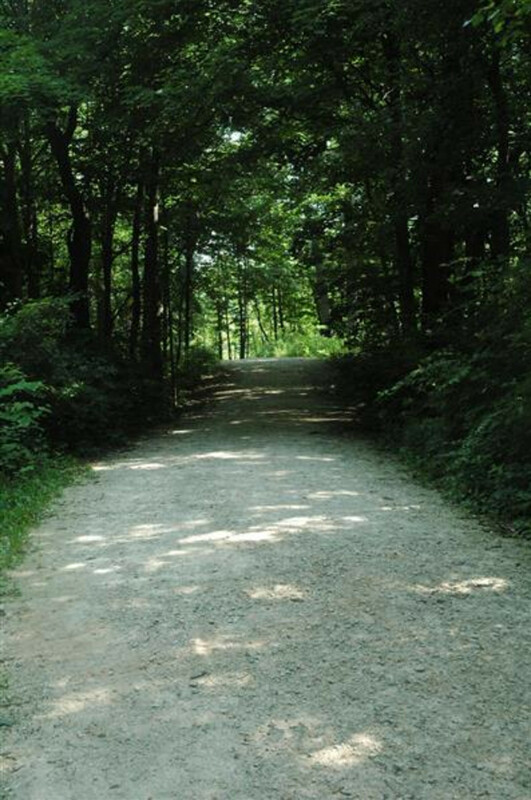 The preserve contains more than 700 native plants, and according to the DuPage County Forest Preserve, and you’ll find more than 300 species of mammals, bird, fish, amphibians and reptiles that make their home in the park at least part of the year. Deer sightings are common along the trail, particularly early in the morning or close to dusk. From a mountain biking standpoint, the diversity of the trail is also impressive. 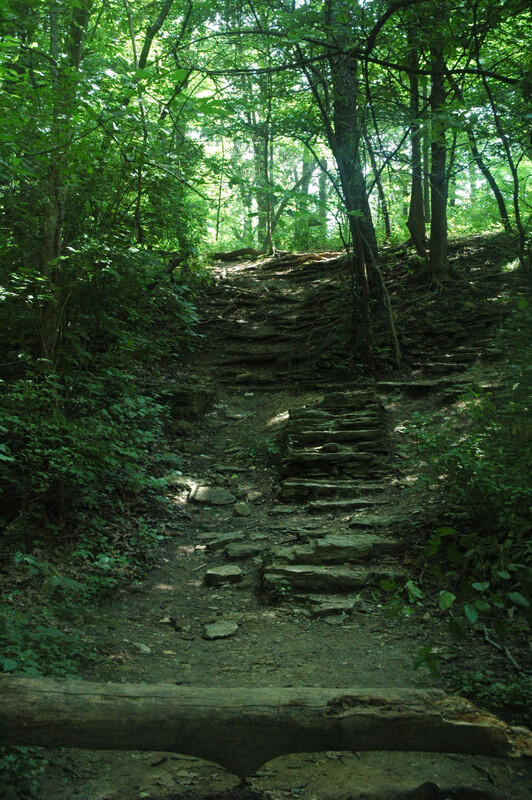 Yes, it’s the same crushed limestone as just about every other trail in the area, but you get a great variety in your surroundings. You’ll certainly catch sight of railroad tracks, private homes and the laboratory from time to time, but through much of the preserve you get a great sense of natural isolation. Honestly, Argonne is more of a novelty for mountain bikers than anything else. But it does explain the park’s trail structure—which is basically one big 9.5-mile loop. There are a few spurs here and there, but for the most part you’ve got a nearly uninterrupted crushed-limestone trail that makes a big circle. That and several sources of water along the way make it a good place for a fun ride. But be aware of one of the other aspects that makes Waterfall Glen stand out among Chicago-area trails—rolling hills nearly the entire way around. Cyclists used to the Lakefront Path will certainly be in for something different as they explore the ups and downs of the Des Plaines River Valley. Cyclists looking to complete a hilly ride. Beginners looking to push themselves with some additional hill work. Anyone interested in escaping the routine for a good shot of nature. A trailhead with parking is accessible from Cass Avenue, just south of I-55. A second parking area is further south on Cass Avenue, which turns in Bluff Avenue, which is closer to the waterfall. A third parking area and trail head is on the west side of the preserve at Lemont Avenue. Like most of the DuPage Forest Preserve, Waterfall Glen is open from one hour after sunrise to one hour after sunset.